A relatively common dental condition, receding gums can become a health concern when the roots of teeth become exposed, leaving the teeth at risk for decay, infection and loss (Medical News Today). 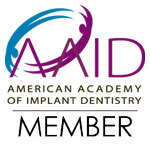 As such, most individuals do not realize that they have receding gums until they are at an advanced stage or recession. Thus, to better understand gum tissues and what causes them to pull away from teeth, continue reading below. For each set of teeth, there is one gum or “gingiva.” This is the pink tissue that meets the base of teeth. Rather dense, the gingival tissue contains blood vessels that are beneath a mucous membrane. Healthy, intact gum tissues cover each tooth, all the way up to the neck. This means that the entire portion of the tooth’s root is covered and protected by gum tissue. Moreover, the gums are also attached to the jawbone. When gum recession occurs, this means that an individual has experienced a loss of gum tissue. Ultimately, as gums fade away or pull away from teeth, the sensitive and fragile portion of a tooth’s root is exposed. This is a cause for concern, as bacteria and plaque have access to the tooth’s root. Surprising to some, gum recession can be hereditary. In other words, a person might have delicate gum tissue by nature, leading to more inflammation and a greater risk of decay. Yet, a common cause of receding gums is vigorous brushing or using a hard bristled toothbrush. Interestingly, when heavy brushing causes gum recession, the left side of the mouth is affected more than the right side. This is because most individuals hold their toothbrush in their right hand when they brush. Aside from over-aggressive brushing, mouth piercings can cause receding gums, as well as misaligned teeth and dental injury or trauma. The good news when it comes to receding gums is that advancements in dentistry have equipped dental professionals with many treatments and solutions. From desensitizing agents to composite restorations, dental bonding, varnishes, orthodontics and surgical means, there are options to help preserve one’s oral health and prevent gum recession in the future. With a complete menu of general, restorative, cosmetic and orthodontics, Ora Dentistry serves residents and families in Elk Grove with comprehensive dental care. If you have concerns about your receding gums, you’ll feel at ease with the compassionate care provided by our skilled dental staff. Call Ora Dentistry today!